Laser treatment is one of the most popular medical procedures for treatment of rosacea be it cosmetic reasons or to halt its progression. Clinical studies have proven that lasers can help treat broken blood vessels, chronic redness, blotchiness and reduce flushing, swelling, stinging sensations and even small red inflammatory papules. We suggest that Rosacea sufferers who are considering laser treatments as part of their rosacea treatment plan to do their homework first. 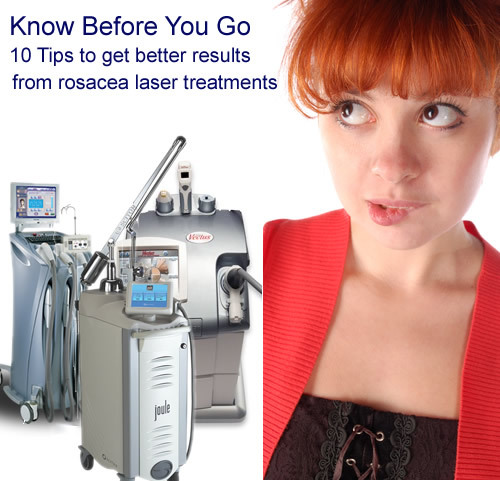 What to look for and ask when choosing a rosacea laser clinic/doctor/office for your treatment. Find the best rosacea-specific lasers – there are many Spas and Med Centers that may use ineffective ‘Cosmetic-Grade Lasers’ instead of ‘Medical-Grade Lasers’ or are what they term “off label” using the laser they have on hand that may not specifically target rosacea. Experience counts: Ask how many rosacea cases they handle on a average. What are their typical outcomes, how many treatments are typical? Experienced laser physicians and nurse practitioners because and the expertise of the laser specialist is crucial. Do they offer a guarantee or follow up treatment? Basically you can have the best tools but unless you know how to apply them and have experience across the broad spectrum of rosacea skin types.. your basically taking a shot in the dark. Ask to see other rosacea patient before and after treatment photos – not just those photos supplied by laser manufacturers case studies… but actual patients. Visit the clinic Be prepared to visit several laser centers to do your research first and don’t limit yourself to a laser center based on its proximity to your home — i.e. don’t settle for a laser center close to home if they don’t have the proper laser or experience treating rosacea. Cheaper is not often better! Beware of the coupon, group buy or other such promotions when it comes to your medical treatments… Meaning don’t choose a laser clinic based on a deal without checking out their skills and experience in treating rosacea. Rosacea laser treatment specialists have found that it is important to treat at least two levels of the vascular bed in rosacea facial skin: the small surface vessels and the deeper feed vessels. They target the surface vessels to clear chronic facial redness and the deeper feed vessels to reduce flushing. Most can perform this in one session treating the superficial vessels first with one laser and then treating the flushing zone with a deeper treatment laser like the 1064 YAG or the Palomar Dual Laser. This should be at the top of your list of tips to ensure better laser treatment results for your rosacea. A surprising number of rosacea patients, especially females, are not able to clot normally. This may be due to several reasons, most notably low levels of Vitamin K. Laser treatment only works if the heat from the laser beam seals the blood vessel shut and the blood in the treated area forms localized clots. Both are necessary for successful treatment. A simple, inexpensive blood test, the Prothombin Time (PT), is used to measure hot fast blood clots and can detect any abnormalities. If your Prothrombin Time is low you can receive Vitamin K injections or purchase a high quality Vitamin K supplements and easily correct this abnormality. This is a simple test that all rosacea sufferers should get for rosacea and health reasons. Some laser centers only spot treat active areas of redness and visible broken blood veins. This is called spot treatment and is a mistake because initially your redness will decrease and visible signs will diminish only to return at a later date. Why? The entire flush zone should be treated each time because much of the inflammatory damage is too deep for the naked eye to see — and if not treated. For rosacea it is best to treat the entire rosacea flush zone at once. In order to reduce side effects or blood regrowth rosacea sufferers should discuss taking an antihistamine and ibuprofen several days after laser treatment to reduce skin inflammation and ensure that the blood vessels clear normally. These two simple additions to your treatment routine can make a significant difference in your overall response. Also, continue to limit blood thinning med’s, supplements and OTC’s until you heal from your laser procedure. It’s important to emphasize that even with the best lasers and most qualified specialists, laser treatment can cause secondary side effects that can reduce the overall effectiveness of the treatment and even interfere with the degree of rosacea clearance. 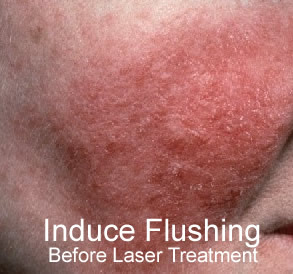 Therefore, it’s important for rosacea sufferers to take a proactive role after laser treatment to help lesson these negative side effects before they interfere with the overall success of each laser treatment. Most rosacea sufferers should plan on receiving at least 5 to 7 laser treatments in a short period of time. 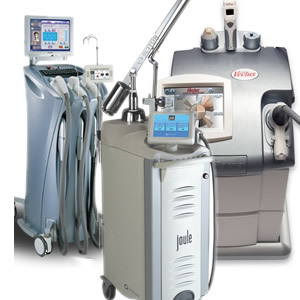 This allows the laser to treat vessels that are on the verge of clearance and also allows the laser to treat deeper each time as the vessels clear. Many who undergo one or two treatments and then wait a year are disappointed with their results. Laser is expensive and usually not covered by insurance, but it is one of the best treatments that actually treats the root of the disorder and not just the symptoms. This treatment is worth saving up for. Laser specialists have found that tightly spaced treatments are better for turning off inflammatory cells, permanently replacing blood vessels with healthy collagen and elastin, and significantly thickens the skin. Work often interferes with the perfect protocol, but if you can schedule these treatments well in advance you should be able to set up the optimal number of treatments and space them out at shorter periods of time for best results. (10) How rosacea laser treatment combined with Rosadyn supports optimal laser treatment results. Rosadyn prevents uncontrolled blood vessel regrowth after laser treatment (angiogenesis) — Sulforaphane (BroccoRaphanin®) is one of the most potent inhibitors of blood vessel regrowth — especially in response to vessel damage that occurs during laser treatment. This unique substance was isolated and studied by John’s Hopkins School of Medicine and is proven to be a better inhibitor than most prescription angiogenesis blockers. 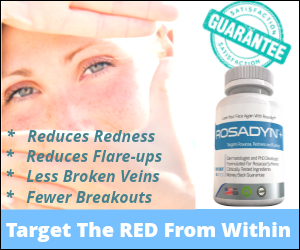 This is the most important action of Rosadyn because blood vessel regrowth is one of the primary genetic factors in rosacea and can completely undo laser-induced vessel clearance. 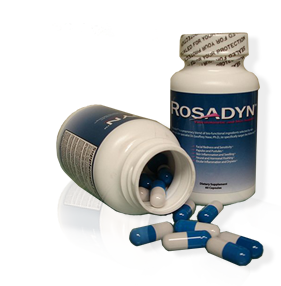 Due to the importance of inhibiting blood vessel growth after laser treatment, Rosadyn also incorporated Pharmaceutical Grade Pine Bark Extract (95% Proanthodyns) which is also a potent inhibitor of uncontrolled blood vessel overgrowth. While there is no cure for rosacea you can minimize its effects, symptoms and feel better about facing the world without the telltale signs of rosacea. At Rosadyn we believe in a holistic approach to managing and treating rosacea. Integrating rosacea treatments together with medical professional, lifestyle, skin care and nutritional and alternative treatments support you can begin to see a difference and feel better about the skin you are in. Learn about How rosadyn ingredients work to target rosacea flushing, reduce triggers and strengthens skin from the inside out. Have you undergone laser treatments for your rosacea? How do you feel about the outcome?